Lydiard Park is the perfect setting for any special occasion. ‘St John Hollow’ is our exclusive event space ideal for private events, family celebrations and corporate gatherings. St John Hollow is a fully enclosed, outdoor event space made up of two arenas with a combined area of approx. 450 m2. 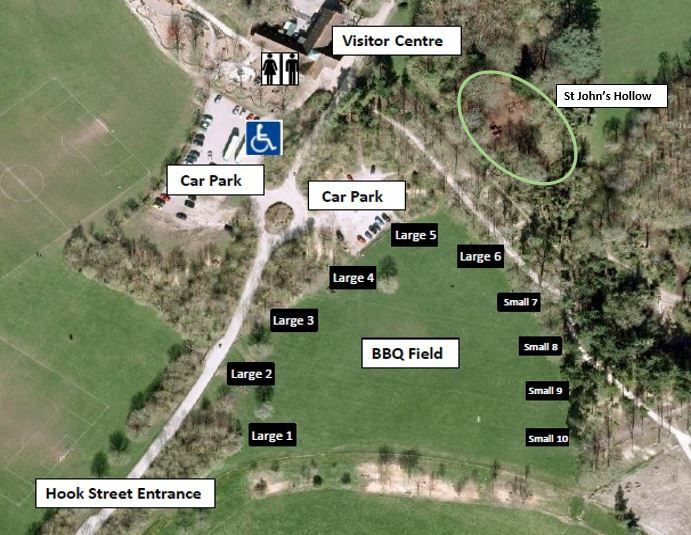 Situated just off the main lawn in the heart of our Quarr Plantation, this unique space can accommodate up to 200 people and is fitted with 2 large BBQs. For more information and to book, please email lydiardpark@swindon.gov.uk or call 01793 466664.